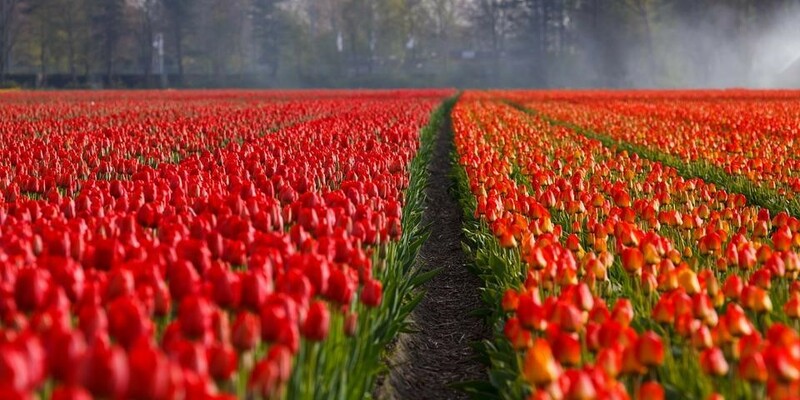 A Series of Beautiful Botanical Gardens You Should See in the U.S. I have always known I had green fingers every since I was a little girl. And it’s not only because I greatly enjoyed that book by Anita Davies, Green fingers and Grit. When I was young, while many children my age played tea with their dolls, I was getting my fingers muddy, clipping and trimming weeds with my Grandfather in the garden. Years after, much of my gardening was restricted to my backyard. One day, I set off on a gardening tour trip and I haven’t looked back since. While my sojourns have taken me to several continents, I have no particular favourites. Every garden has its unique botanical beauty. I have been to VanDusen Botanical Garden, Bloedel Floral Conservatory, The Butchart Gardens, Dr. Sun Yat-Sen Classical Chinese Garden and Muttart Conservatory in Canada. But, recently, I travelled on a botanical tour to the U.S and was awe-inspired by the variety and colour of plants on display. I thought to share some of it here. However, it’s worth noting a few things before travelling to the US. Every citizen from any of the Visa Waiver Countries is expected to apply for an ESTA before travelling to America. This is an electronic form of approval allowing you to travel to the US. If you don’t have one, you could be delayed at the airport. But an ESTA is obtained online and only takes a few minutes to complete. If you would like to find out more, visit this site www.esta-approval.com/. Do bear in mind that dear old Donald Trump is trying to stop, well, just about everyone coming into the US it seems. Make sure you know the exact rules for the time that you travel, and don’t get caught out lacking any paperwork whatsoever; you might just be sent straight back at the airport. Whether you are coming to Canada to see the gardens or to the US it is crucial you get the relevant approval before you travel. America is famous for its abundance of lush botanical gardens. If you are planning a gardening tour to the US, don’t fail to visit the following gardens. You’ll be amazed by the number photos you can take in a short period. The Denver Botanical Garden is a 23-acre park, and home to over 2,300 plant species. It contains, perhaps North America’s biggest collection of cold climate plants from around the world. Within it are 7 different gardens dedicated to plants from Colorado and nearby states. If you love drought tolerant plants (like I do), you’ll be happy to know that the DBG has an interesting collection from the Dryland Mesa which includes yucca, cacti, and other types of xeric plants. The latest garden collection is The Bill Hosokawa Bonsai Pavillion and Tea Garden. You’ll definitely love their night-time illuminating display. 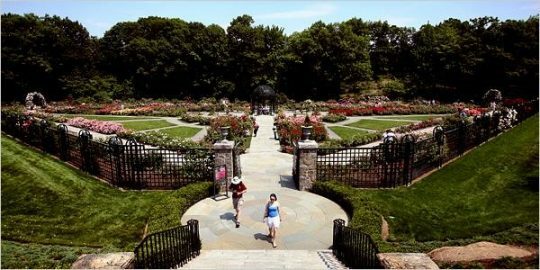 Located in the centre of the Bronx, this 250-acre urban retreat attracts over one million visitors to its gardens every year. The New York Botanical Garden has up to 50 various plant species, unlike Central Park which is renowned for its acres of green grasslands. One of the gardens most remarkable features is the historic Victorian-type glasshouse. This place offers a separate world tour of 11 separate plant habitats varying from African desert environments to tropical rainforests. The national botanical garden also hosts the Peggy Rockefeller Rose Garden, a 37-acre collection of conifers, a rock garden and 7 million botanical specimens dating far back as 300 years ago. If you love orchids, welcome to the largest under-glass collection of orchids in the America. Some of them from exotic places in Asia, and countries like Australia, Ecuador, Madagascar and Mexico. Atlanta puts is beautiful plants on display in a 16,000 sqft Fuqua Orchid Centre. In it, you will see indoor displays of various flora from tropical forests to savannahs and even the most arid deserts. What makes the Atlanta Botanical Garden unique is its exhibition of different types of turtles, birds and even poison dart frogs. I was travelling alone at the time, but the park is children-friendly as there is a children’s garden complete with fountains, and a canopy walk with lofty views of camellias, azaleas and hydrangeas. The San Francisco Botanical Garden is a 55-acre park with a lovely bunch of about 50,000 plants from different parts of the world. Since 1940 when it opened, it has evolved through various forms to become the Japanese garden and flower conservatory it is today. Every year, from January to mid-march, its lovely collection of 100 rare magnolias spring to life in shades of white and pink. The garden has been described as the World’s fourth most significant conservation collection of magnolia. That is, outside of China anyway. Towards the end of December, the botanical garden usually organises a special event known as “Cloud Forests: Beauty in the Mist”. It features rare and endangered flora from elevated forests that are in bloom at the time. Admission is free. There are perhaps up to a dozen more but my tour was not as time-permitting. I would love to visit more gardens. My travel program for the year isn’t used up, so I might just squeeze in another trip. Are you keen on a garden tour too? Look up available schedules on this site for something suitable. Will a Championship Put Toronto on the NBA Map? Wondering How Best to Travel Croatia?